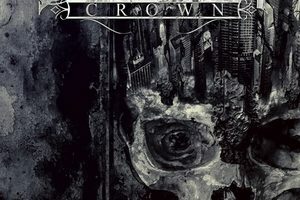 New Jersey’s Dead City Crown may not have an extensive back catalog since their beginning (which includes a few years under the name Ashes of Amber from 2010-2013), but they have made their releases count. 2014’s Centuries EP opened the doors, and Apex of Fury continues to spread the word that are are some strong, European-influenced melodic death metal bands on this side of the Atlantic. Comprised of three songs and tallying up about 11-minutes of total play time, there’s no real room for error if one wants to make a thorough impression. This is never an issue though, and in fact, the brevity of the release lends itself well to repeated listens. 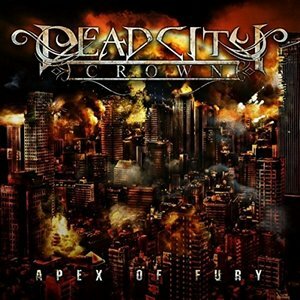 Those hip to the ‘classics’ of the Scandinavian melodeath scene will undoubtedly be pleased with Dead City Crown’s approach. Lots of energetic and driving tempos that feature some swirling melodies revolving around some hard-hitting riffs. Some keys help to accentuate the mood, but enjoy their role as an auxiliary component as triumphant guitarwork soars in the forefront. The initial winner in this scribe’s opinion is that of the title track, with some rousing melodies that provide an equal level of passion and ‘wow factor’ that holds up to the major players in the scene (a la early In Flames, Insomnium). Carl Morissaint’s vocals play towards the heavier end of the spectrum, with full throaty roars blending well into the riff-based sound. There are some clean-ish vocals at hand, but they are employed well and avoid the ‘poppy’ aspect most acts shoot for. Apex of Fury is squarely rooted in melodic death metal, but done with a level of finesse and execution that could easily rival some larger bands. With the right push, Dead City Crown could find themselves quickly thrust to the head of the pack based on what they’ve accomplished here. A proper full-length might, in fact, be all it takes. An EP worth hunting down.